Advised Blue Wind Marine Insurance ( Turkey) on the settlement of the loss from the breakdown of the main engine on board BLACKSTONE (IMO number 7718072). During the execution of the next voyage charterer of the ship rejected the main engine . This was changed by the shipowner agreed with the insurer classification society. Shipowner consulted in the absence of the insurance companies for signs of wrongful refusal to pay insurance indemnity. Being a successor of the traditions of the family of submarine naval officers, Kirill Maslov has experience of maritime practice as captain, which, combined with the experience of the legal counsel of practice allows Kirill to provide legal assistance to prevent and resolve accidents, emergency accidents and incidents at sea and river transport. Practical experience and expertise Kirill Maslov includes also the resolution of complex disputes in matters of ship owners for the construction and acquisition of fleet chandlers and marine agents in matters of payment of arrears for Maritime Claims, cargo owners in disputes for compensation for maritime transport. Kirill Maslov is an author and trainer of workshops on the Law of the Sea for law students and professionals of the industry. Maintains a blog of maritime lawyer on Korabel.ru. As an independent anti-corruption expert of the Ministry of Justice of the Russian Federation and a representative of the industry community Kirill Maslov participates in legislative activities and monitoring the enforcement of existing legislation in the field of maritime and river transport. Successful representation of the group of companies "Sea Service" in a court dispute with "Eastern Shipping Company" for the recovery of debts for the supply of bunker fuel on the vessel AKTIVA (IMO: 7408873). Advising Finnlines on the legal regulation of acceptance and issuance of cargo in the seaport "Saint-Petersburg Big Port". 2013 - St.Petersburg Advocatory Chamber, attorney. 2015 - International Yaht Association. 2013 – to present time - St.Petersburg Law Offices “Inmarine”, managing partner. Boat trips and regatta, diving, weightlifting, yoga, Argentine tango. Settlement of charter party dispute in relation to demurrage of MARTYN LATSIS vessel (IMO 8038223). Turkish shipowner has delivered a vessel into a sub-time charter to a Russian company on a term of postponed payment. Freight has not been paid up until the end of charter. Cargo was on board. We had to ensure payment of freight. Legal evaluation of payment documents presented by the charterer has been performed. As a result it has been established that payment has been withheld by the bank due to security reasons. Settlement agreement has been drafted, based on which freight payment and penalties for delay in payment were to be paid on other bank account of the shipowner. Zhdanova Viktoria - senior partner at the St. Petersburg law offices "Inmarine" in shipbuilding and shipping. Viktoria specializes in projects accompanied by the construction, purchase and sale, transfer to the charter and operation on sea and river vessels, focusing on the legal regulation of relations between the parties of the transaction and to prevent possible disputes and damages. 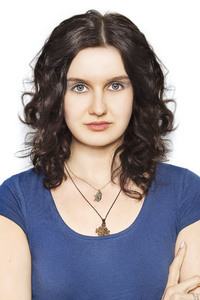 When she returned from England to Russia with a master's qualification of the international maritime law, Viktoria received a lawyer's status and provides legal support for Russian ship owners in the negotiation and execution of shipbuilding and ship-repair contracts, purchase and sale contracts and ships charters under English law. Foreign ship owners demand Viktoria’s expertise in regulatory matters to ensure stay of ships under foreign flag in the Russian jurisdiction, taking into account the specifics of the Russian legislation, as well as making deals with local shippers, forwarding agents, charterers, agents and chandlers. Customers have repeatedly pointed out that a solid knowledge of the European and Russian law allows to Viktoria to structure multi- border transactions and to ensure cross-border legal protection of the marine business projects. Being certified by the Federal Customs Service, a specialist in customs operations, Viktoria consults ship owners, shippers and freight forwarders for customs clearance of ships and cargoes, successfully solves judicial and extrajudicial disputes about the classification of goods, the adjustment of the customs value, the return of overpaid customs duties and other matters in customs and currency legislation. 2015 г. – Russian Customs Academy, specialist in customs operations. • Company Consulting, "Gazprom Neft Shelf" on the distribution of risk and the volume of owner responsibility and charterer of ships VLADISLAV STRIZHOV (IMO: 9310018), YURIY TOPCHEV (IMO: 9338230), MIKHAIL ULYANOV (IMO: 9333670), KIRILL LAVROV (IMO: 9333682) used to provide MISP project "Prirazlomnaja". Author of a series of successful novels and short stories, throwing an ironic view of reality through the prism of fantastic phenomenon. Organization and support of the acquisition of the Volgo-Balt-210 ship (IMO 8230376). In March 2018, the principal asked for help in support of the transaction on the acquisition of the Volgo-Balt 210. The complexity of the transaction was the fact that the company needed the seller to obtain shareholder approval for the transaction, the number of which exceeded 3,000 persons. Also, the transaction was made at the time when the new rules for registering ships entered into force, the practice of which was not formed at the time of execution of the contract. The lawyers conducted a comprehensive audit of the seller’s company and the ship’s documents. Based on the results of the inspection, a contract of sale and purchase on the BIMCO pro forma was drawn up, the conclusion and execution of which, including the reception and transfer of the vessel, the representation of interests on registration of rights to the vessel, was accompanied by lawyers. Also, the company acted as an escrow agent to confirm the fulfillment of obligations by the parties to the transaction. Due to the detailed preparation of a significant number of basic and additional documents submitted for state registration, the vessel was successfully registered for the new owner in a period significantly less than that established by the rules of registration of vessels in force since 2018. Successful obtaining permission for cabotage for 19 vessels of the state corporation "China Communications Construction Company". "Rosmorrechflot" confirmed the right of the "China Communications Construction Company" to dredging in the waters of the Bolshoy Kamen Bay with nineteen vessels flying the flags of foreign countries - China, Luxembourg, Palau, Mauritius, Sierra Lyon. The issue of the permit was preceded by three months of active legal work of the attorneys of the Law office "Inmarine" during which the legal examination of corporate and shipowners' documents was carried out, the necessary certificates for the safety of navigation were obtained for the ships, not only the legal admissibility and safety of ships, but also the economic, technical need to involve a foreign fleet for dredging in cabotage. Corrective actions and concerning documents-the bases for work were carried out. The attorneys of the Law office "Inmarine" showed additional expertise, which predetermined the success of the project, in terms of the preparation of motivated objections and the rejection of proposals for the performance of the declared works received from Russian shipowners. After studying the information and documents provided, the federal authorities gave a go-ahead to the entry of the ships of the Chinese shipowner into the Russian territorial waters of the Bolshoy Kamen Bay where, according to information sources, the dredging works had already been launched. For the Russian practice of implementing offshore projects, attracting and collecting documentation on 19 vessels at once is a serious figure, however, it is this fleet volume that will allow you to fully implement the dredging project in the Bolshoy Kamen Bay. 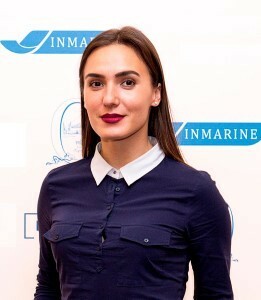 As a graduate of Admiral Makarov state University of Maritime and river transport, Stefania has been specializing in the resolution of disputes and conflicts in the field of Maritime and river transport since her student years, highlighting the urgent arrest of ships on Maritime requirements as the area of the greatest expertise. < / span>the Bureau's Principals have repeatedly noted the high degree of attention to detail and proactivity of Stephanie at all stages of the business. Successful support of the purchase and sale transaction of the vessel VOLGO-BALT 210 (IMO 8230376). 2018 - St. Petersburg Bar Association, attorney. 2017 - to the present - St. Petersburg Law Offices “Inmarine”, junior partner.